RTG Mining Inc. is pleased to announce that together with the Special Mining Lease Osikaiyang Landowners Association (“SMLOLA”), the company has donated much needed medical supplies to the new Arawa District Hospital, which is soon to be officially opened in Bougainville by the Australian High Commissioner and leading Government officials from both the Autonomous Bougainville Government and Papua New Guinea Government. RTG has been working with the SMLOLA team, who represent the Customary Landowners who own the minerals at the old Panguna Mine and is thankful for the opportunity to work with the team on this project. Good healthcare is one of the central tenets of life, that should be available to all and we are proud to be able to help the local communities in this way. Livelihood programs have always been an important part of our philosophy, with the RTG Management Team having won awards around the world for its social and environmental programs, having successfully developed and operated 7 mines in 5 different countries. 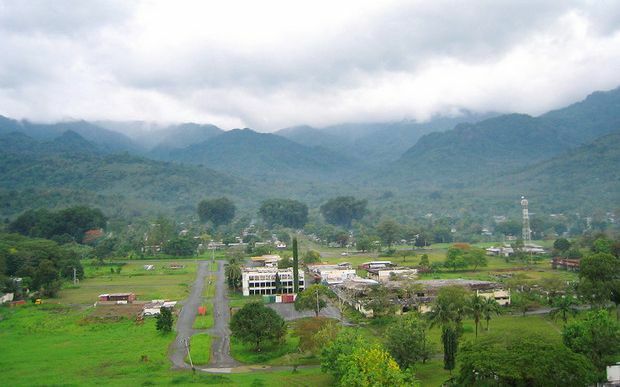 RTG remains committed to working with the SMLOLA, its members and the Autonomous Bougainville Government to progress the redevelopment of Panguna. We thank the SMLOLA and its members for their continued support and nomination as their preferred development partner should they be successful in securing an exploration licence for Panguna.